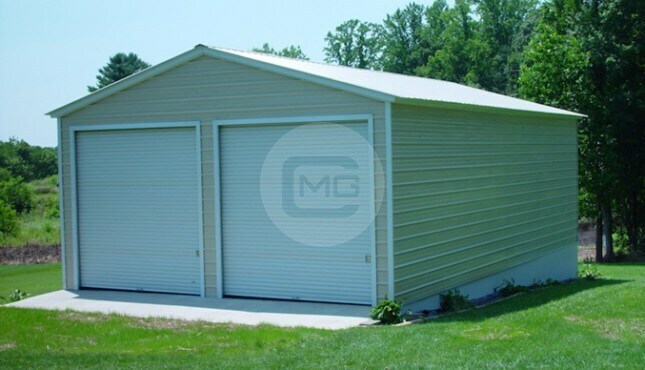 The steel structure is a 30’W x 120’L x 16’H fully-enclosed side-entry garage. 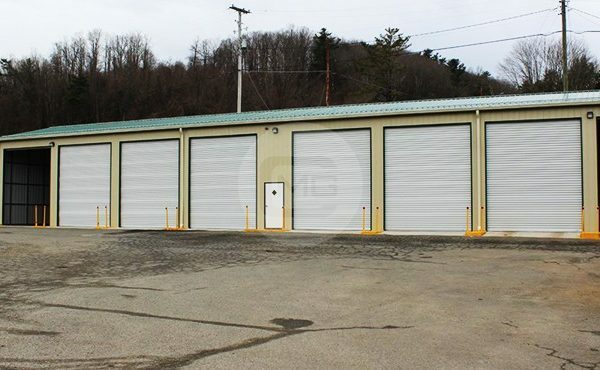 It features one standard (36”x80”) walk-in door and eight 12’x14’ side-entry roll-up doors. 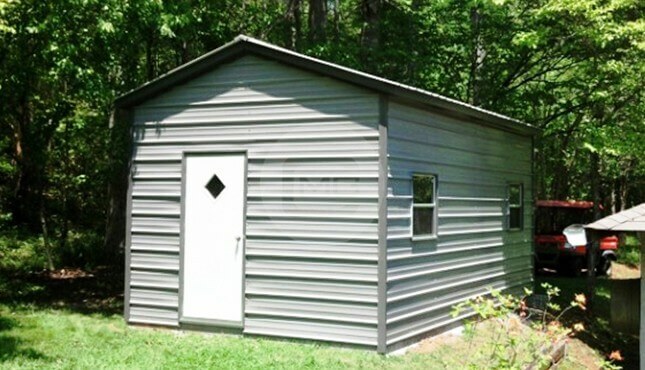 With its vertical roof and 12-gauge steel framing, it can withstand up to 140mph winds and 45 lb. 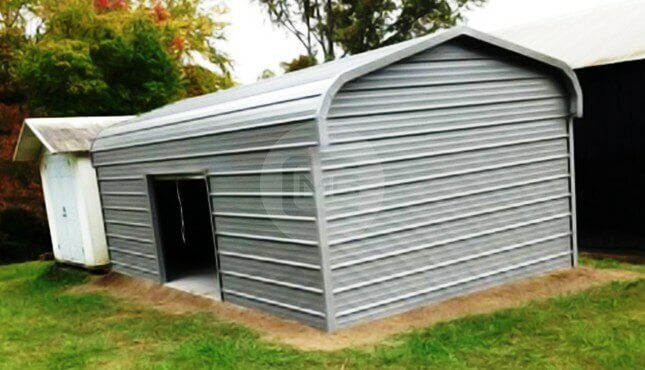 snow load. 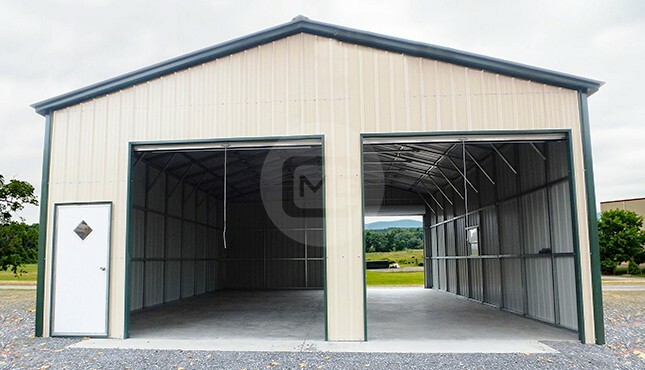 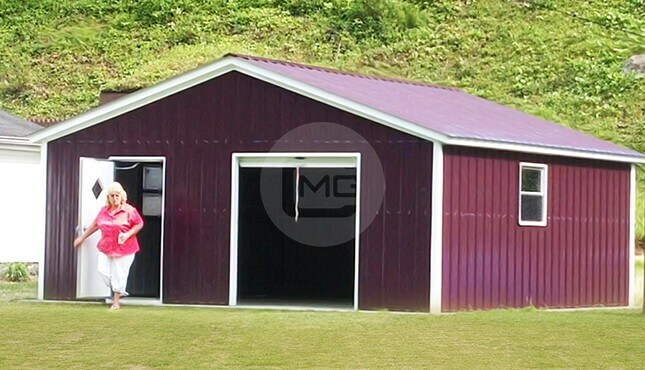 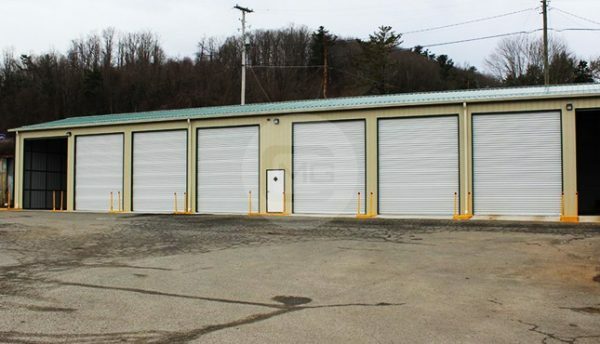 With a generous amount of open space, this metal garage is perfect for storing and protecting commercial and agricultural equipment. 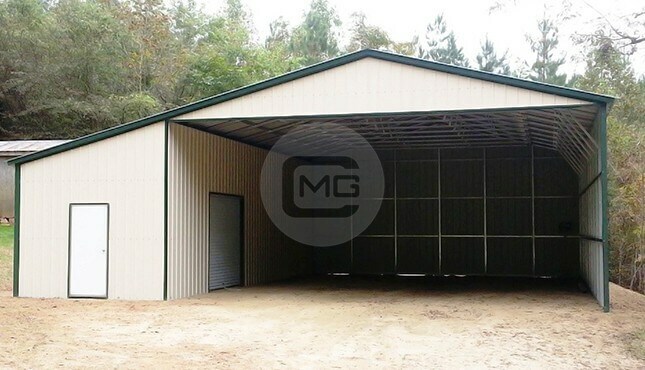 With just a small deposit, you can own this structure today, delivery and installation included! 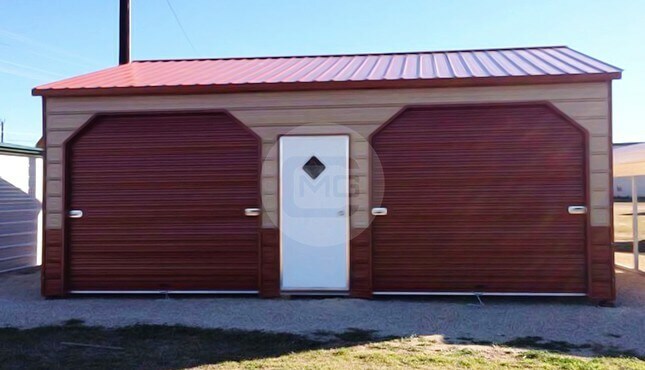 Don’t miss out on this deal, call us today at (980) 321-9898 to speak with one of our friendly building specialists. 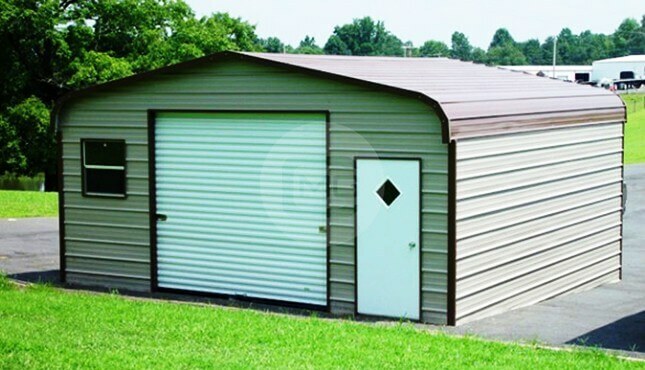 One-year workmanship warranty, ten year panel warranty (chipping and cracking only), and 20 year rust through warranty on both the 12 gauge and 14 gauge frames.